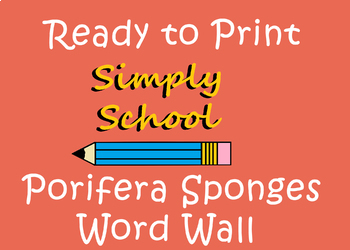 Vocabulary Words for Porifera Sponges. All ready to print and put up on your word wall. All you need to do is print and cut. --7 pages as can be seen in the preview- created in Microsoft Word. Will coordinate with the interactive notebook I am creating. My Goal is to create usable products are SIMPLE to use and SIMPLE to understand. 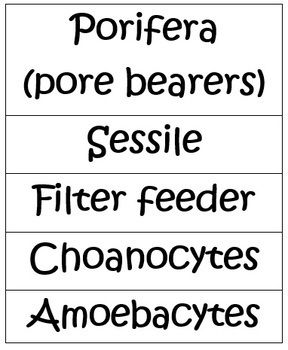 I am currently building a complete set of zoology resources. I have very little luck finding what I need online, so I decided to create it myself!